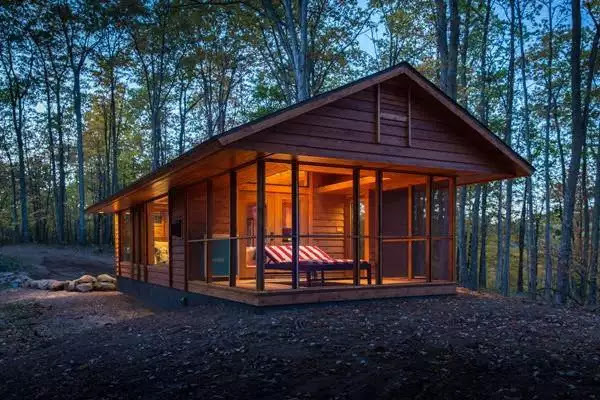 How nice would it be to take a summer vacation and spend it in a cute and comfy cabin like this? 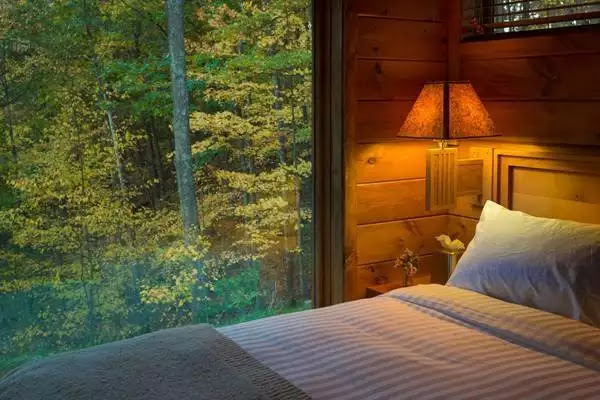 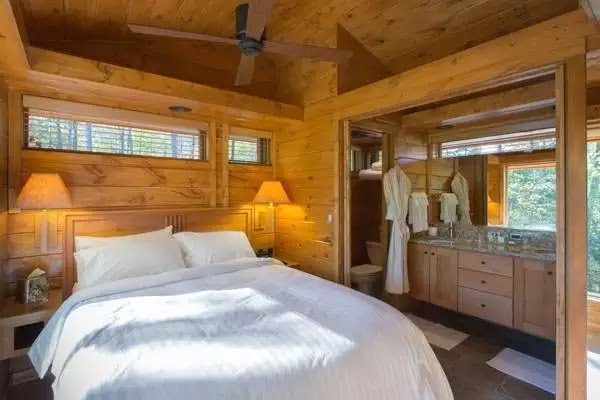 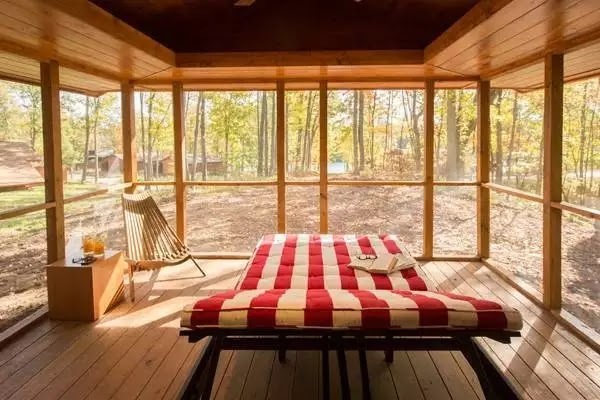 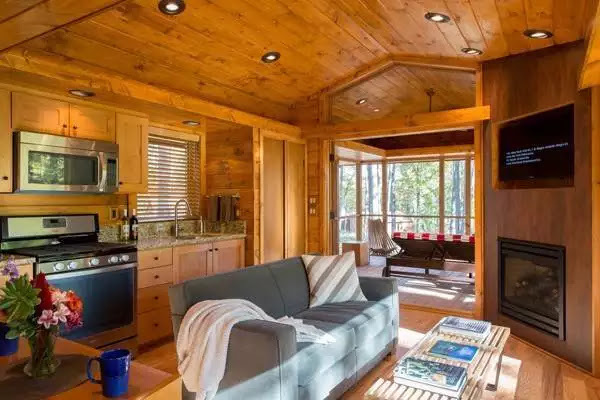 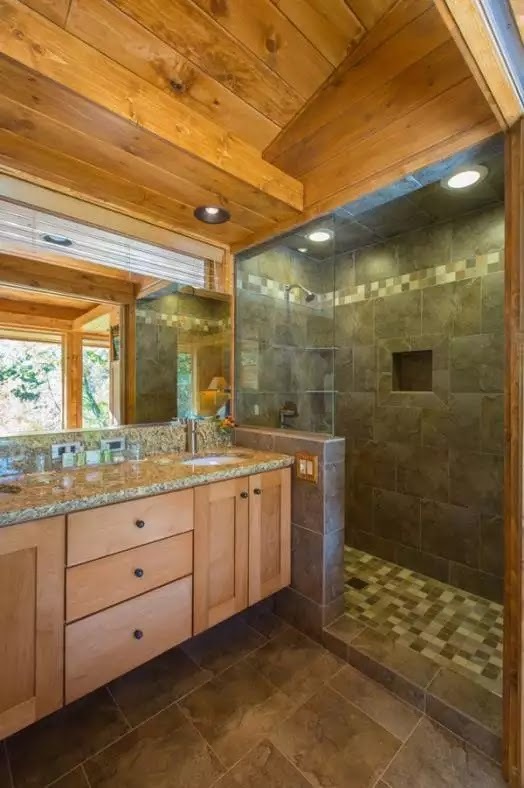 Located just 100 miles north of NYC, this 392sq ft log home offers all the comforts and amenities you need, from a fireplace to plenty of large windows to take in the surrounding scenery. 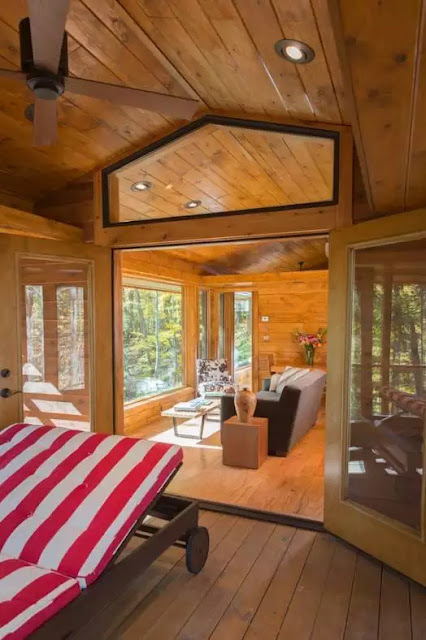 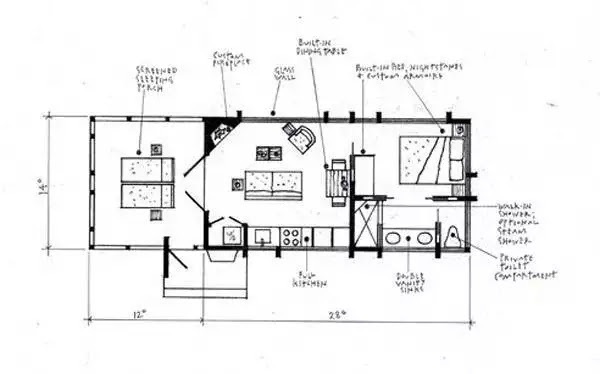 It features an enclosed front porch, a full kitchen, living room, dining room, and a full bathroom. 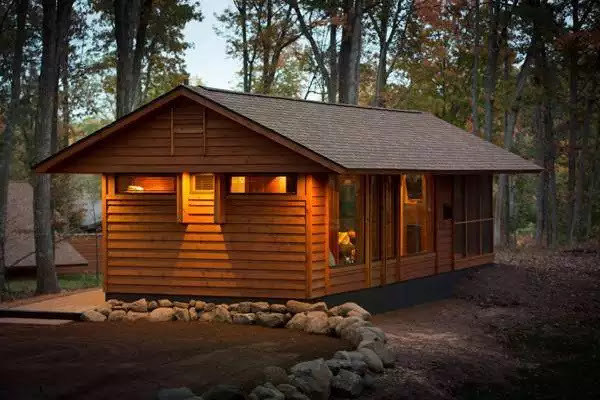 Produced by a company called Escape Homes, the home is technically classified as a park model RV. 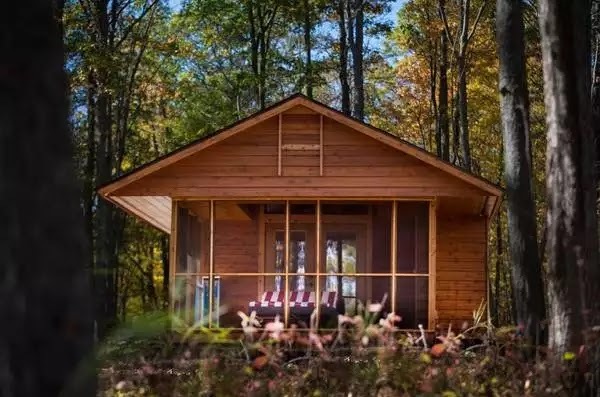 They're all handmade, and the price for one starts at $63,700 and goes up to about $98,400 (more pricing info here).